Jim Parsons Recovering From The Boys in the Band Foot FractureRepresentatives said they expect Parsons to return within the week. Ryan Murphy Is Producing an All-Star Broadway Production of The Boys in the BandJim Parsons, Zachary Quinto, Andrew Rannells, and Matt Bomer are set to star. Watch James Franco in I Am Michael TrailerAlso starring Zachary Quinto as his annoyed boyfriend. Zachary Quinto to Unnerve You Yet Again in a Biopunk TV SeriesBased on the book about bio-hackers by Marcus Wohlsen. Zachary Quinto, Trek Remembers Anton YelchinQuinto was the Spock to Yelchin’s Chekov. Dag, Does This Hamilton–Star Trek Mash-up Amaze and AstonishI am not throwing away my Spock. 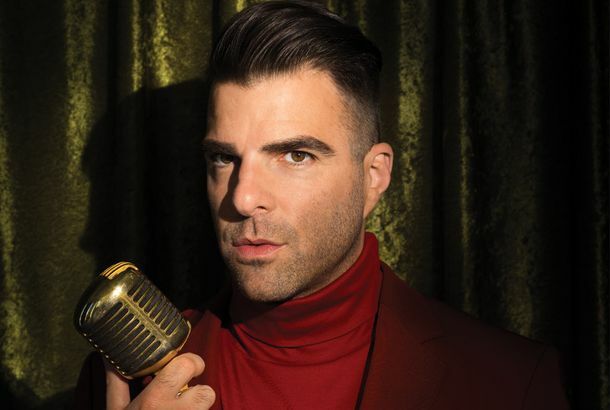 Zachary Quinto on His Financial Crisis Movie Margin Call, Playing the Villain, and Occupy Wall StreetIt’s the first time he’s publicly confirmed that he’s gay. Michael Urie Joining Angels in AmericaThe Off Broadway revival has been extended. Theater Review: The Spectacularly Overstuffed Angels in AmericaA lusty, lumpy, lovably imperfect remount. See Zachary Quinto’s Funny or Die Sketch, ‘Before After’The ‘Star Trek’ star teams up with comedian Philip Quinaz. Obama Preparing for a Post-Presidency As an Entertainment BloggerIs there any other possible explanation for the events of this week?